De Doelen Concert Hall and Conference Centre is an ideal meeting place. 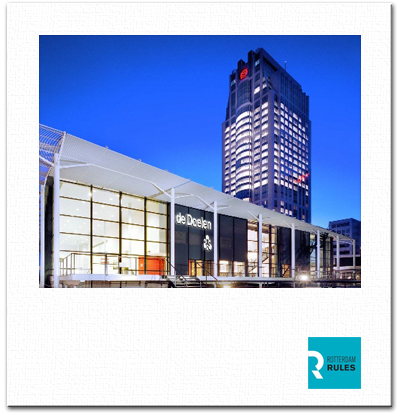 Located at the very heart of the dynamic city of Rotterdam, their stylish building is perfectly suited for cultural, corporate and knowledge-based events. De Doelen's special appeal lies in its dual function as international concert hall and conference centre. This is underscored by the building's design: the remarkable 1960's functionalist architecture of the original concert hall beautifully contrasts with the conference centre's more dynamic and modern design. De Doelen comprises three groups of halls or complexes, viz. the Grote Zaal (Main Hall, max. 1850 persons), the Willem Burger Zaal (max. 700 persons) and the Jurriaanse Zaal (max. 465 persons). Each complex has its own entrance, hall, foyer, and a number of smaller meeting spaces. One distinctive feature is that these three groups of halls can be used individually or in combination. This makes De Doelen uniquely flexible and perfectly suited for gatherings ranging from 100 to 3000 delegates. De Doelen Conference Centre (the Willem Burger Zaal complex) was opened less than ten years ago and specially designed for conferences and corporate events. It is characterised by its transparent, spacious and business-like design. The centre has its own entrance (from the Kruisplein) as well as a central hall, an exhibition lobby, a beautifully-lit foyer with a roof garden and ten smaller meeting rooms. At its heart is the exceptional Willem Burger Zaal, seating a maximum of 700 delegates (535 without the balcony) in a fixed-rake, amphitheatre arrangement. State-of-the-art facilities in sound reproduction, projected image and multi-media presentation have been integrated into all the halls. There are four translators' booths in the Willem Burger Zaal, and the spacious and comfortable chairs all have individual folding tables. The hall is also air-conditioned. Thanks to its central location, De Doelen is easily accessible by car as well as by public transportation. There are several secure car parks in the direct vicinity of the venue. De Doelen is surrounded by a broad range of restaurants and shops, ranging from simple to the most exclusive tastes and pockets. In addition to the 5 star Westin, there are several 4-star hotels within comfortable walking distance of the venue.